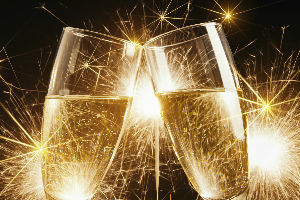 Join our Thames New Year’s Eve Cruise on-board the Golden Salamander for a night to remember. With spectacular views of the famous London fireworks at midnight. Food. Drinks. And Fun. Start Your 2020 in Style with a Thames New Year’s Eve Cruise! Celebrate the end of 2019 on the River Thames with our Fun, Fizz and Fireworks New Year's Eve Cruise. Guests will be welcomed on board a Fizztastic Champagne reception as you embark at a Central London Pier. The boat will then sail past the main Landmarks along the River as you enjoy an informal evening of fun, free flowing drinks and finger food. 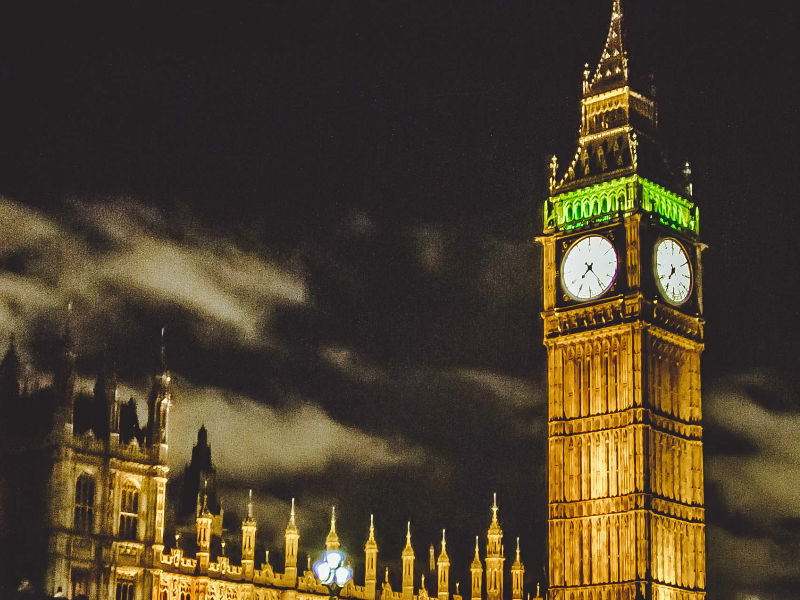 Join us on board the Golden Salamander for a spectacular view of the London fireworks at midnight and start your 2020 in style and off with a bang! Self service from the buffet station. This finger buffet is intended for snacking and nibbling to soak up the alcohol rather than a full menu. Vegetarian Meals must be pre-ordered at least 7 days prior to the cruise. We can cater for all dietary requirements, please inform us when making your booking. The Golden Salamander is great boat to have a party on the Thames. The lower deck offers a comfortable saloon area with large windows and rich upholstery, a perfect space to take a 5 minute rest from dancing. The upper deck has a spacious dance floor and sound system with doors leading to the outside deck. Our New Year's Eve Cruises run to a very strict timetable and unfortunately we cannot wait for any late arrivals. It is your responsibility to arrive at the pier in plenty of time for boarding, the streets and public transport will be extremely busy and densely populated. We would advise that you allow extra time for your journey and that you check the Transport For London Website for all travel information, tube, train and road closures. Please be advised that once the boat departs, it cannot return to the pier to collect passengers, and refunds will not be offered in such circumstances. To access Westminster Pier you must arrive at Westminster Underground Station and leave the station via Exit 1 inside the station, this is the only recommended route to Westminster Pier. There are no bars, shops or toilet facilities once you get onto the Pier. Here you will find answers to some of the most frequently asked questions, just click on the down arrow to reveal the answer. Our Thames Dinner Cruise team are on hand if you require any further information or need help with booking - please call us on 0203 551 3942, phone lines are open Monday - Friday between 09.00 - 17.30. We do not accept any cancellations with any of our New Years Eve Cruises, if tickets are cancelled then 100% of the ticket price is payable by the client. No refunds will be offered should the fireworks display be cancelled for weather, industrial action or any other item outside the control of Thames Cruises London Ltd and/or the Operating Company. We request that you inform us of special needs or disabilities at the time of booking in order for us to meet any personal requirements. Unfortunately this boat is not wheelchair accessible. Smoking is permitted on designated outside areas only. Not suitable for young children due to the late finish, we will be encouraging a club party atmosphere. Prams, bassinets and push chairs are not permitted on-board. The Thames New Year's Eve Cruises operate regardless of the weather unless in conditions of poor visibility. The Captain will make the decision on the day if the cruise will not operate. You will be informed of your options on the day if this affects you. Our vessels are closed in so you will not be affected by wind, snow or rain. To book this cruise please either click the “BUY NOW” button on the package and follow the online booking process or call our reservations team on 0203 551 3942 (open Monday – Friday 09.00 – 17.30). Once you have completed the booking process you will receive an automated booking summary via email. A boarding confirmation will be sent 2 weeks prior to the cruise and will state the boat name, schedule and pier location. Please check your boarding confirmation carefully and inform us immediately if anything is incorrect. You will need to print your boarding confirmation and present it on arrival at the pier in exchange for your boarding pass. Copyright © 2016 Thames Cruises London Limited. All Rights Reserved.